Usage notes: The difficulty in the French proverb un tiens vaut mieux que deux tu l’auras is that it combines unintuitive grammar with a lack of clarifying punctuation. Grammatically speaking, tiens is not a noun, but rather a verb: the tu conjugation of tenir (to hold). This verb form is "nouned" here, making it a sort of shortcut to quelque chose que tu tiens. The second clause is also odd. While tu l’auras obviously means "you will have it," the number deux in front indicates that this phrase too is nouned. 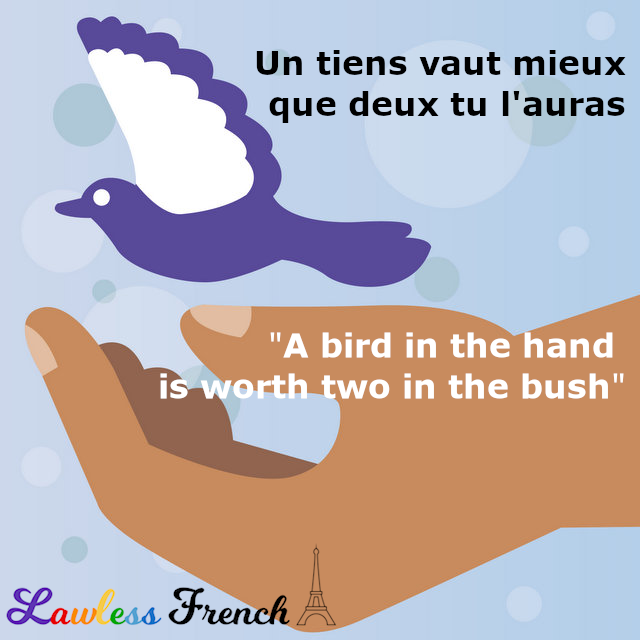 So the easiest way to understand the proverb is to mentally add quotation marks: Un « tiens » vaut mieux que deux « tu l’auras », meaning "One ‘have’ is better than two ‘you will haves,’ " which corresponds nicely with "A bird in the hand (one ‘have’) is worth two in the bush (two ‘you will haves’)." – J’aime mon copain Éric, mais je suis fascinée par Christophe. – I love my boyfriend Éric, but I’m fascinated by Christophe. – Un tiens vaut mieux que deux tu l’auras ! 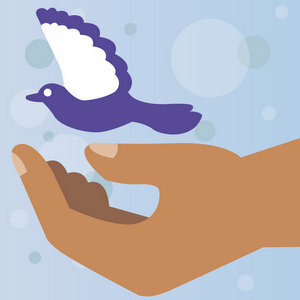 – A bird in the hand is worth two in the bush!